I'm in a tart and tasty heaven. All those meyer lemons I mentioned the other day? Homegrown in the sweetness of the California sun and hand-delivered by one of my oldest friends? Well I sliced and diced, steeped and simmered, sweetened and sauced up a whole mess of them into the most glittering jars of marmalade. Now I know that plenty of people out there are not big fans when it comes to marmalade, that rot-your-teeth-out-in-one-bite business (usually of the smuckers variety - blech), but this, THIS is a whole different beast. It's sweet, but tart enough to never be cloying, so fresh that you can nearly smell the trees they were grown on, and set to firm texture with perfectly delicate slices of zest. I think it would be brilliant on scones, smeared over toast with a slice of romano, or just by the spoonful. I'd never judge you. And I canned three jars for you, because this sunshine gracing the west coast is too good to not share. If you like to be entered into a drawing for a little package of warmth and lemony-deliciousness, all you need to do is leave me a comment below! Say whatever you like, no rules, no restrictions, just all love for you on this gorgeous Friday! I'll draw, very randomly, three names next Tuesday morning, February 8th for the three homes these jars are destine to! I think it must be fate, this luscious and lemony lovely lotto you're holding! Next summer, I will send you a jar of my green tomato jam. It will knock your socks off! Bottled sunshine! I didn't know the color of my soul until this moment. What's the point of entering anyway when you won't ever let me win? Oh Mme. Just drive down and I'll serve you all the marmalade you can eat. Did I metion my favourite taste in the whole world is lemon? And peppermint. But not together. That would be gross. Maybe...? I would so love a wee bit of your sweet sunshine on this cold, grey coast of mine. 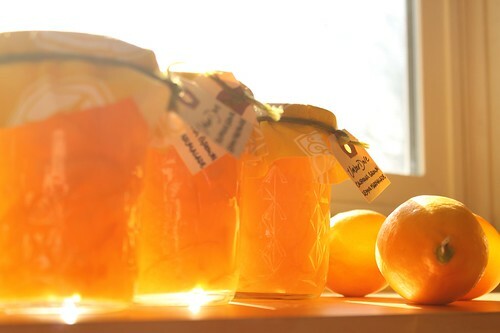 I'm in love with these photos as much as with the thought of eating your lemony marmalade... This will give me a good excuse to finally take the time to your bread recipe. But seriously, thanks for giving me some sunshine to look at, it's a bit gray around these parts. Oh my gosh, those look AMAZING. The daffodils are just starting to push up but we are still months away from any weather that could foster a meyer lemon. What a welcome sight! Mmm... I think I may need the recipe. I'm hoping my trees will have a yummy batch of fruit for me to harvest this year, but we'll see! We could use some nice hot sunshine here in AZ today. freezing! 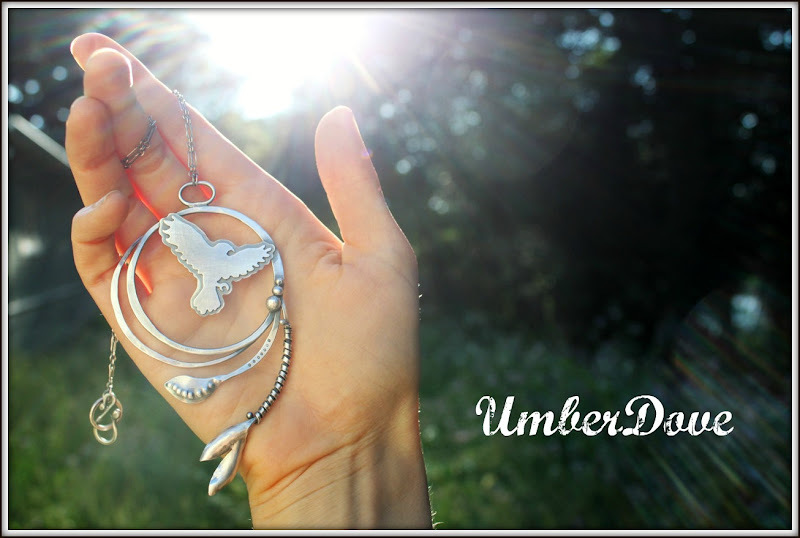 I would love to have a chance at this delish giveaway! Be still my yellow heart. I need some because I am a sourpuss! Lemoney yumminess count me in. I found something today that I hope will be yumminess; green chili corn tortillas. My eggs and cheese can't wait to join them for my breakfast tomorrow. I also may have made a new friend in our new town today. Happiness all around! Lemon marmalade cookies....there should be on online recipe for those....i will create! if I'm lucky enough! I am so jealous that you can jam this time of year! Sure I can crank up some Billy Joel, but it's not the same as sweating off the heat of mid-July while I scoop various stewed fruits into empty jars. I can just taste it now! 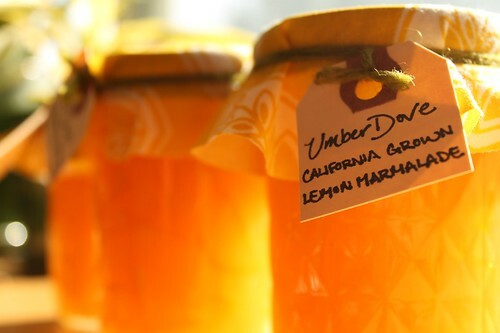 I have never had lemon marmalade before, but it looks scrumptious!! Thanks for the sunshine :). Need jar of Cali sunshine.. STAT! Whatever lovely ladies! It was -40 for two days here in my neck of the woods! Sunshine in a jar is desperatley needed...and more woollen goods. Thankfully your beautiful images and words warm my toes. how my kitchen would love to hold one of those beauties in her arms!!! Uh, I hope I get one of those jars since those freaking delicious lemons came from MY PARENT'S BACKYARD!!!! Omigosh. You've put summer into a jar!!! We're having an unusually "warm" day here in Saskatoon where the temps actually went slightly above freezing. I'm sure that the -30C days will return but I'll enjoy the warmer days while they last and I'll start stockpiling cardigans in the meantime! can't resist, I love lemons!! I love lemons! Even though it is sunny here today, we have SO much snow a burst of lemony freshness would be most welcome. Just to sow wicked, green seeds of jealousy, I thought I'd let you all know that I don't NEED to enter this contest because Kelly is one of my besters and she's sneaking me contraband marm behind your backs -- this contest is a merely a distraction, something to make you look the other way while the real deal goes down. oh my. a jar of sparkling sunshine straight from your kitchen. count me in. Oh my. Goodness. Merely the pictures themselves are captured california sunshine. And on this dismal grey Seattle Saturday ... well. Yum. I would feel guilty winning marmalade the week after I won a jadeite tea cup, but I wanted to say that your jars look like jellied gold, and that I am cursing Canadian winter more than ever. Any theres no such thing as too many Cardis, youre so tiny you can have double the amount of most of us in the same space! lol! Oh, my, that looks wonderful. And I think it would be delicious in my Greek yogurt! who could resist an offer like THIS?! anything you put your hand to simply dazzles, sparkly girl! p.s. wait a minute, TNP-- i saw that. uh huh. Wow! That is QUITE the yellow! So wonderful! my sentiments exactly, mme. bookling. SUNSHINE IN A MASON JAR!!! It's been grey and drizzly for, oh, months now up here in the Puget Sound, and I'm not expecting it to end anytime soon.... Please send us some of that California sunshine!!! Looks amazing. And I promise to consume it while wearing a cardigan. Lemons on homemade bread, what could be better?? Just the thing to bring some sun to a cold winter day!! Looks like golden deliciousness! I would love to try it! Bottled sunshine! As beautiful as I know it must be tasty. Can't resist. 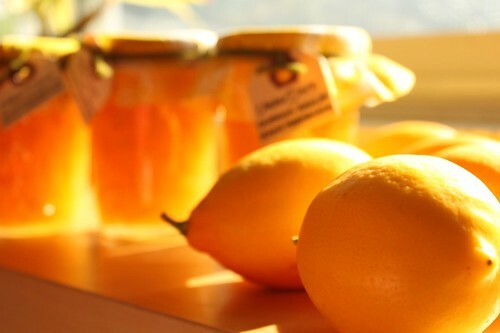 i'm definitely in for some dovely marmalade - my most favourite memory of lemons was making lemonade (no extra sugar needed) from fresh lemons in the backyard of my friend leslie's bach (cottage) in Raglan, New Zealand in March of last year. She also had a grapefruit tree which yielded luscious large sweet gems as well. it was as close to a backyard paradise as i had ever been in. yum. Yay, I made it in time! Gosh, what a beautifully splendid gift! I want a quilt made of sunshine and it would look just like the magic stuff inside that glass. You are glowing shine-ly, just like your marmalade. Oh how I wish. I am drooling with just the thought. I am ready to smear. Oh yes please!! I want to taste that lemony sunshine! Oh California Fruitness! -37 degrees here and I can just feel the sunshine in these beauties. Kelly, Jillian is causing trouble!